take your choice from a great mix of genres. 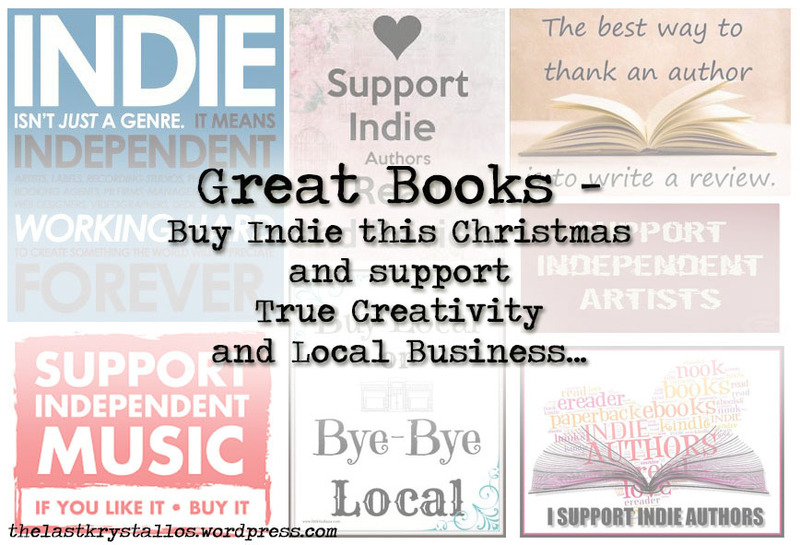 The most important thing you can do to help an indie author or creative, is to support them by buying and reviewing their product, and then sharing and spreading the word as much as you can. I’m not asking you to shout about every book you read, but if you love it, then share the love and tell people – we’ll love you forever! This three-in-one book compiles all three Rowan Slone novels, so you get great value and a fantastic YA story. This book has a depth and raw edge that many YA novels don’t, dealing with real teen issues and no sugar coating. Tracy Hewitt Meyer‘s writing is authentic and her words draw you right into Rowan’s life. The characters are so well drawn that I was still considering their arcs days after finishing each book. 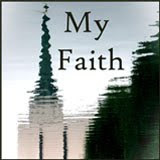 It’s a story of damage and abuse, loss and despair, but ultimately of absolution and trust, hope and strength. I was gripped from the very first page of this harsh tale of life in a post-apocalyptic world, where the city’s surviving inhabitants live in tower blocks and stay away from the streets below. As the stakes rise, the characters are thrown into life and death situations, and this brilliantly disturbing series will stay with you…and you won’t want to put it down! Captivating, riveting, fast-paced fantasy – ‘Orison’ enchanted me. Daniel Swensen is an intelligent and delightful writer, and if you haven’t read ‘Orison’ yet, you absolutely should. From the beginning I was caught up in Story’s tale, as she leapt from rooftop to rooftop and several times, thanks to the author’s superior description, my heart was in my mouth. Swensen intertwines his characters and their individual tales so well, you won’t predict the plot, but you’ll be waiting for them to overlap, and you won’t be sorry when they do! Each character, from the quietly rebellious Story, worn-down Wrynn and loyal Ashen, weaves through the background of Calushain and an epic tale unfolds…you will be bookmarking this author for more. 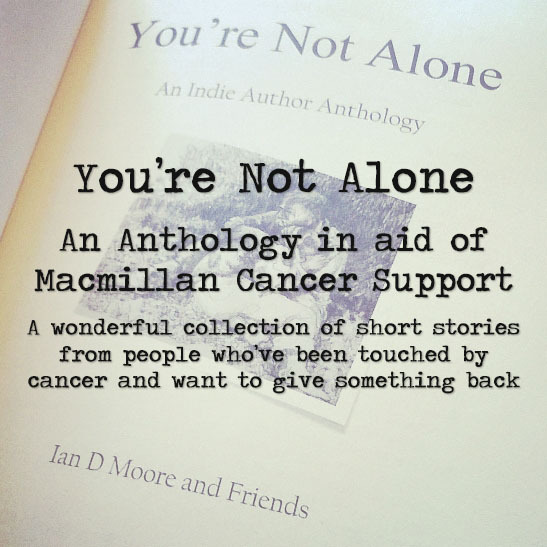 This anthology was put together by Ian D Moore and a group of authors who wanted to make a difference, all proceeds go to Macmillan Nurses as they help in the battle against cancer. Many of the authors have first-hand experience of cancer or know someone close who’s suffering, and were delighted to contribute to this book. You will be whisked into a magical world of remembrance with Sylva Fae’s gorgeous tale ‘Lilies for the Mantel’, enchanted by my own fairytale ‘Love’s Silent Ache’, have your heart stolen byNico Laeser’s ‘No Longer Broken’ and stirred with ‘A Year Afterwards’ by Lesley Hayes. Throw in a great mix of stories including Max Power’s ‘Babes’, ‘Last Goodbye’ by Paul Ruddock, ‘If the Shoe Fits’ by Katharine E. Hamilton and ‘Ooh Air Margrit’ by Rebecca Bryn, and you’re onto a winner. These are just some of my favourites and there are plenty more! The tales are a wonderful mix of genres and beautiful writing from great authors. Swashbuckling pirates and romance on the high seas… I got caught up and swept along in this period pirate romance. I enjoyed Lara Hays‘ intricate and beautiful description and very much felt as if I was there on the ocean myself. Tessa Monroe is lost at sea and rescued by pirates. On the ship, she finds herself in all kinds of trouble with only one protector, the dashing and mysterious Nicholas. She finds herself falling for this dark and enigmatic man in a way that she tries to fight, but as he consistently defends her honour he earns her respect and admiration. Tessa is a feisty lead and is a good match for Nicholas, but can they find happiness aboard a pirate ship? This story held my attention and delighted me with its wonderful description and characters. This is a tale of gothic fantasy and contemporary relationships which will intrigue you. Edgar is a teenager with an obsession for graveyards and history. He very soon finds himself in direct competition with the local society of ladies hunting down the fabled lost grimoire. Some fabulous characters emerge, one of my favourites being Corinthian, the cemetery attendant, who helps Edgar in his search. Edgar enlists the help of fellow teen Shelby and they get wrapped up in a beautifully described relationship and detective work. You will love the history intertwined with the contemporary setting and a tale that will both delight and enchant you. I am looking forward to reading much more from Paul Ramey and Edgar Wilde! Lizzie Koch writes with a sassy and fun attitude and Katie will warm your heart as she struggles to make her way through the day without making a faux pas. Katie Button is a character you’ll relate to and and this chick lit book will both delight you and make you laugh. A riveting tale of medieval intrigue. A powerful and captivating story set in medieval Tir Athair. Strong, fully-fleshed characters drive this tale, drawing you into a world where everything is about to change. Subterfuge and mistaken identities abound and you will be enthralled as you begin to follow frustrated Liam, feisty Molly, and formidable royal twins amid an intense power struggle. The strength of Marissa Ames’ writing lies within beautifully realised characters, well-developed world building, tightly drawn politics and authenticity. This is a delightful and intriguing story that will keep you reading, and leave you wanting more from Tir Athair. An intriguing and enchanting read… The stylish cover piqued my curiosity, along with the idea of being trapped within one’s own body, and I knew I wanted to read this story. It’s an absorbing tale of a young man imprisoned inside his paralysed body, and his struggle to be heard. It’s one of those taboo subjects, and something that horrifies us, to be caught still totally lucid and alive, but frozen and unable to be heard. Nico Laeser takes us through the inner workings of Danny’s mind with such fluidity and believability; it’s hard not to believe the author’s already been there himself. His language and writing and imagination creates an authenticity that drew me right in. The beauty of Laeser’s writing kept me reading, particularly at the end, where it brought me to tears, leaving me wanting more and keen to read further works from this talented author. I’m only 20% through this book, but it’s written with such beautiful prose and style that it has to be included… I’m hooked and intrigued and keen to see where the author is taking me. This is a character driven story and the protagonist is both flawed and fascinating. One of the best things about a story is the ability the author has to take me on a journey, and this one is exhibiting twists and turns, and a title that just makes me want to read on… Fynn is in therapy, but right at the start, her sessions are rudely interrupted by fate. You will want to know more, and as I know several readers who rate this book, and its author, incredibly highly, I know I’m going to enjoy it! There are stories in life that should be told, that need to be told, and this is one of them. Alice is alive with the fire of life, a yearning to be who she is and to be accepted, and my heart ached for both Alice and for her family. Teenage years are stormy for most, but for a transgender teen, life can be almost impossible. However, this book presents an honest portrayal of a family trying to cope through times of helplessness with humour, love and compassion. The tears I shed for Alice and her family were genuine and heartfelt, as were the words tying this story together. Alice’s mother shares her story and writes with raw emotion, truth and grit. This story is a tough read, but one of the most rewarding you’ll find. I hope you will come away, like I did, with both greater understanding and compassion. Ahoy there shipmates! If you’re looking for a swashbuckling, piratical tale…you need look no further…for ‘Cutthroats and Curses – An Anthology of Pirates’. Featuring eleven great writers: Michael Wombat, Lisa Shambrook, Boyd Miles, Marissa Ames, Bryan Taylor, Beth Avery, Matt Jameson, Eric Martell, Michael Walker, Stephen Coltrane, and Alex Brightsmith, there will be something for everyone! 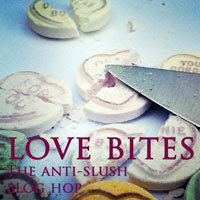 However, you’re going to love the eclectic mix of fantastic writing from some amazing authors. There’s definitely something for everyone here! This entry was posted in Books, indie Authors and tagged adventure, Anthology, books, chick lit, Christmas, drama, eBooks, fantasy, gifts, historical, indie authors, Pirates, Reviews, romance, stories, transgender, YA, Young Adult, Zombie on 18th November 2015 by Lisa Shambrook. 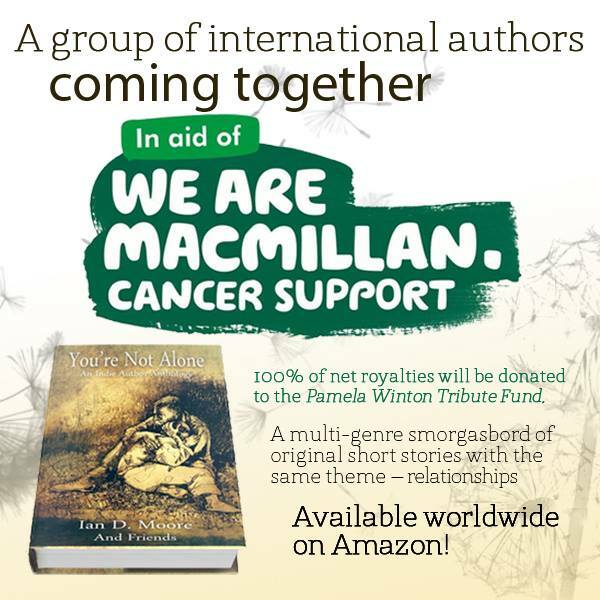 When I was afforded the opportunity to contribute a short story to an indie anthology, in support of Macmillan Nurses, it was a pleasure to be involved. My own experience with cancer, as with many others, is varied. I know people who’ve suffered, those who’ve survived and those who didn’t, and my own children have two grandparents fighting the disease. I help my beloved father as he cares for my mother now suffering with secondary breast cancer within her bones and insidious dementia. I know the intrinsic value of Macmillan nurses, and the intensive support they offer. If I can give something back, I will. He then proceeded to rally his friends and fellow authors and created something special, of which I am grateful to be part. 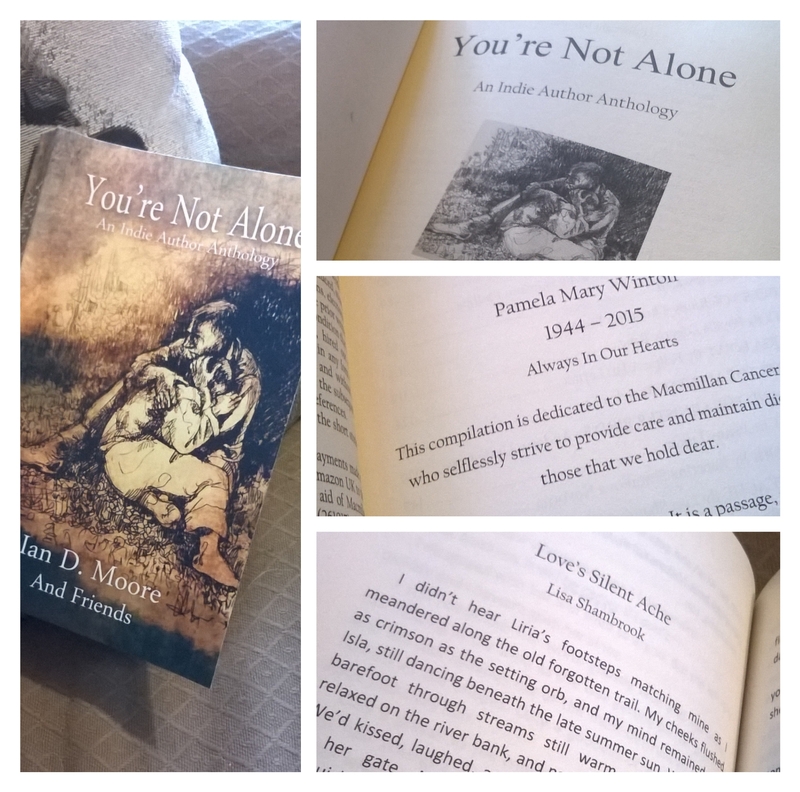 Please read his articles: You’re Not Alone – An Indie Author Anthology for Macmillan Cancer Support and Vision to Fruition – With A Little Help From My Friends to learn more of the process and read testimonials from each of the 27 authors as to why they became involved. It will touch you. The front cover art work was created by the very talented artist Christine Southworth and Nico Laeser turned her sketch into a beautiful cover wrap. All net proceeds from this book will go to Macmillan Cancer Support via the Pamela Winton Fund (see below), and you can currently pre-order the eBook today: £1.99 UK or $3.11 US, this link will take you to your local Amazon site. A paperback version will also be available once the anthology is released on 11th July 2015. You can also donate directly to The Pamela Mary Winton Tribute fund. This fund is in Pamela’s name but all donations go to Macmillan Cancer Support. Any kind donations are gratefully received. Be ready to buy or reblog/share what you’ve found, help us to help those in need. 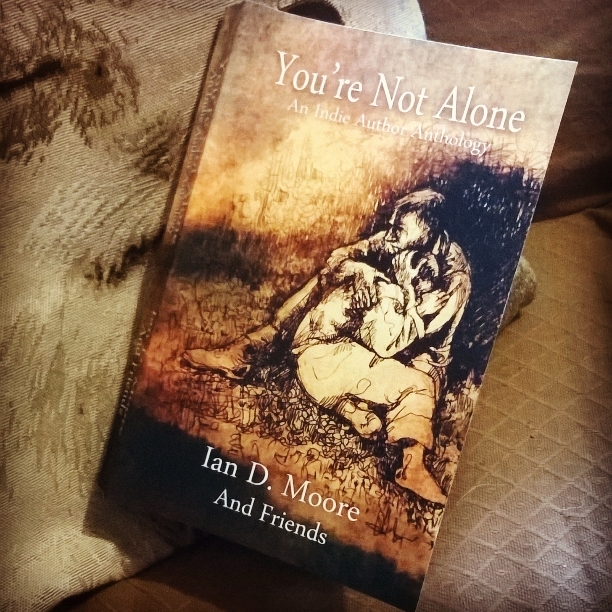 And join our Facebook Page: You’re Not Alone: An Indie Anthology and help to spread the news! 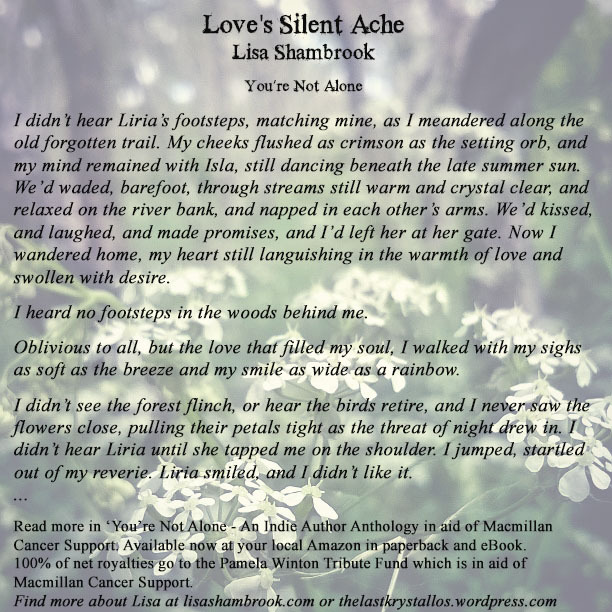 This entry was posted in Books, Fiction and tagged Anthology, cancer, charity, fiction, indie authors, Macmillan Cancer Support, Macmillan Nurses, not alone, You're Not Alone on 27th May 2015 by Lisa Shambrook. Have you ever read a great book and wondered what inspired the writer? Have you ever wished to know more about the person who penned your favourite book? As a BHC Author, I am so excited that I can help promote this new program and website that will bring more amazing books and authors to all you wonderful readers out there! Blue Harvest Creative is excited to announce the next generation of independence has arrived! Welcome to the BHC Authors website—a place dedicated to bringing readers and authors together. If you love to read, this is the place to be. Find a new favorite genre or author. Check out new releases and titles. Or enter a giveaway or promotion. Author spotlights—Get up close and personal. Enter our monthly giveaway for a chance to win autographed print titles or eBooks from featured authors. Reader/ARC (advanced reader copy) Program—Love to read? Want to see new titles before they are released? Enjoy giving feedback and discovering new authors or genres? Be sure to sign up for our ARC program. News and events—Check our calendar often. You never know where a BHC Author will turn up! Are you a reviewer, blogger, or journalist interested in review copies or scheduling an interview? Visit our media center, and we’ll be sure to get you everything you need. Librarians and booksellers can also contact us at the media center. We’re here to make your job easier. If you run a readers’ group, we offer book club reader’s guides for many of our titles and we’re always adding more. Purchase titles and other nifty products from our Amazon affiliate store—From books to writer’s tools of the trade, and more, you’ll find it all here, right at your fingertips. Meet the BHC Authors—Many of whom have won multiple awards and are USA Today bestsellers—and get to know their work. Subscribe to our newsletter and be the first to know about new titles, promotions, events, sales, and more. We hate spam as much as the next person, so we only send out about one email per month. Our intent is not to solicit services. Our newsletters only feature information about BHC Authors. 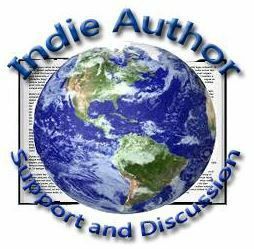 Thanks for stopping by and supporting independently published authors! Click HERE to visit the BHC Authors website. This entry was posted in My Books, Writing and tagged Authors, BHC Authors, Blue Harvest Creative, books, generation of independence, indie, indie authors, readers, reading on 26th March 2015 by Lisa Shambrook.